And yet, I didn’t think I was really good at anything and often wondered why I didn’t have a gift, a talent. There has always been a part of me looking for “something” that was missing in my life. The reason I mentioned all the above is that I believe each contributed to my discovery of my abilities in artwork. They all require attention to detail, context, patience, method, reasoning, questioning, problem solving, communication, perseverance, developing skills, and an overwhelming desire to preserve the past and leave a legacy. It all came together one evening when I looked at a photograph of my granddaughter and for some reason decided I would “try” to draw it. I have no idea why to this day. I remember thinking, “how do you make the edges of her face disappear” and then questions flooding my brain. Two hours later, I looked up and was amazed so much time had passed. I looked at my drawing and felt like I had entered the Twilight Zone! It was a reasonable drawing of the photo. I was stunned. I thought stick figures were beyond my ability! I started with pencil, then colored pencil, then watercolor. I especially liked drawing portraits and knew I wanted to figure out how to make them tell a story. I knew nothing technically so I experimented. The only thing I knew about watercolor was which end of the brush to wet! And so my journey began. After a devastating divorce, I did nothing with my artwork for over 2 years. About 5 years ago with move to a new city, I decided to pick up where I left off. I wanted to try oil painting but didn’t know where to start, but my “training”(see above) kicked in and I started researching and experimenting. There weren’t any classes I knew of in the area so I was on my own. Later I discovered a place to take lessons and eagerly signed up. I was so disappointed – except for the wonderful people, they didn’t really teach me. They just showed how they painted and we were to copy. I wanted to know more. Picture a blank slate! I didn’t even how how much paint to put on which brush! I was told repeatedly, not to take classes because my ability was inherent, God-given, and to develop my own style. Everyone assumed I knew something about painting which I didn’t. I bought books and read everything I could find. I knew I wanted to paint like the Old Masters but how? Research again! Discovery again! Application again! Okay, thats NOT the way to do it! Again and Again! How I wish I had known about this course!!!! Once more, I fell in love with a photograph of a granddaughter. It was taken on her 2nd birthday at barn on her great grandfather’s farm. She was wearing a dress I had made completely by hand but what caught me was her eyes, her hair, her delicacy, the way her hand seemed to be reaching out to me, and the contrast with the old rough boards of the barn. Her name is June Caroline and she is 2! I loved painting this. I had never tried to paint a portrait like this in oils. I had drawn portraits but not painted one. 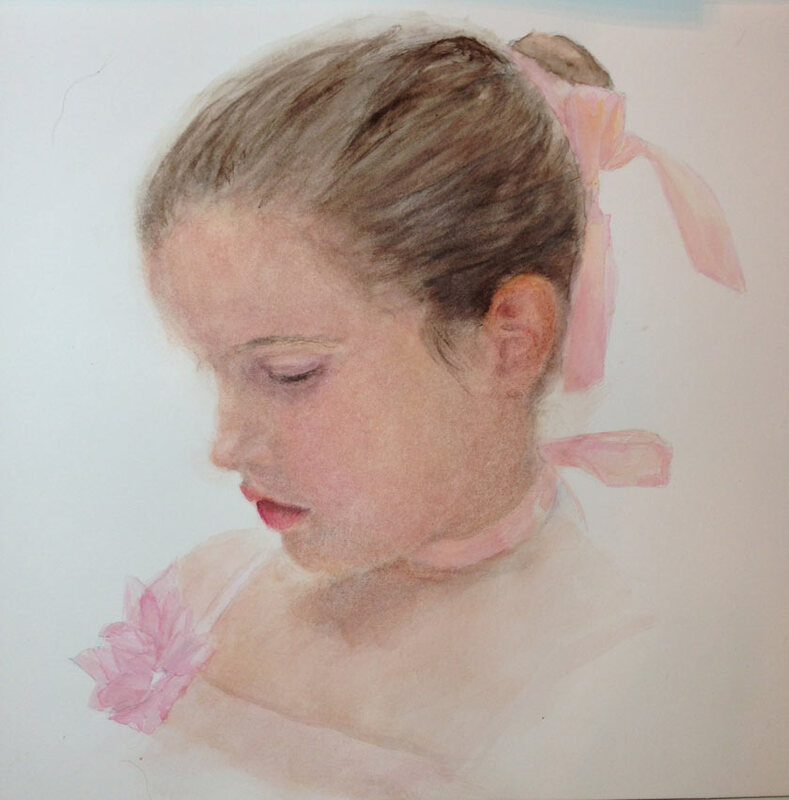 I also have a watercolor of another granddaughter I did at the same time that I especially like and would like for you to critique. 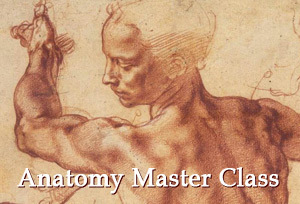 There is so much I want to know and am so excited about this course. And I want to paint like the Old Masters, with all the passion, richness of detail, stunning colors, contrasts, textures – to make the canvas come alive. I’m so impressed by the story of your life! It’s a huge pleasure to see such beautiful portraits especially knowing that you are a self-thought artist. Your paintings are distinguished by a delicate approach, the colors are soft and harmonious. 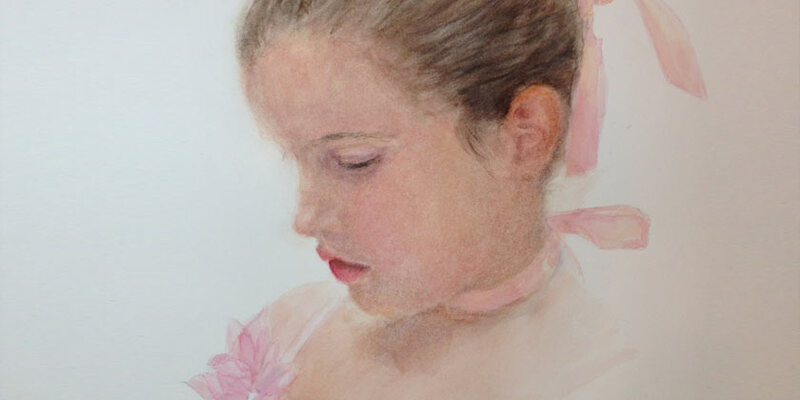 I should note that painting children is especially difficult task – depicting freshness of child’s skin can become a hard-to-solve objective. You handled it perfectly! 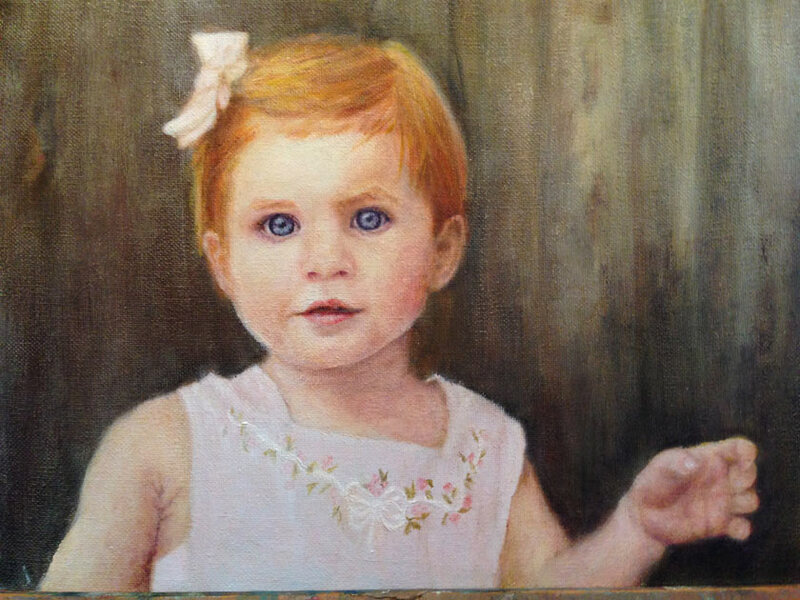 The portraits are light and look complete in their impressionistic manner. Generally, Old Masters paintings have very dense multiple layers of paint. Usually opaque and transparent layers alternated. So, it is not enough just to watch video lessons, we have to make exercises in parallel. For example, we can have on hand small size pieces of primed canvas (no need in stretching) or special oil painting paper just to test what we see in lessons. 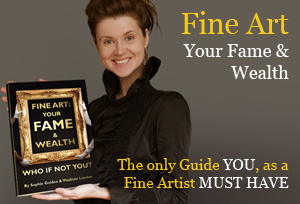 Please keep in touch and share with us your new artworks. Your portraits are wonderful! I love the softness of them and your attention to detail. They do tell a story. I, too, am a new student to the Old Masters Academy. I look forward to studying alongside of you, and I am looking forward to seeing more of your work. Thank you! I had to take a deep breath to send these into the Academy! Its still hard to believe I painted them. Its still all so new. 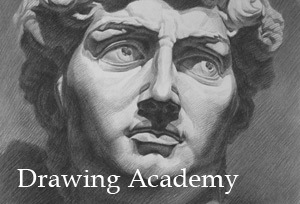 I am so excited to be enrolled in the academy and look forward to seeing your work too! The lessons I’ve seen so far are exactly what I have been searching for. I look so forward to implementing the Old Masters techniques in the coming months and years. Thank you again for your encouraging words! Your watercolors are marvelous! please continue with your art and advancing your skills. Like you, I started in my 50s, but strongly believe that there is no established time to begin to show the beauty within! Wishing you many years of creations and great success.